​We also embrace the spirit of the Reggio Emilia Approach & Music Learning Theory (Edwin Gordon) to design a sequential, artistic and creative curriculum for children to grow in. Our classes value the influences of rhythmic movement in children’s language and cognitive development. Both of our applied and group classes consist of kinesthetic activities to accommodate children’s inclination towards dancing. Through moving to the motion of speed, weight, space, and flow in activities, children experience language creatively and express themselves artistically. Developing the ability of critical thinking is important in our philosophy of language learning. 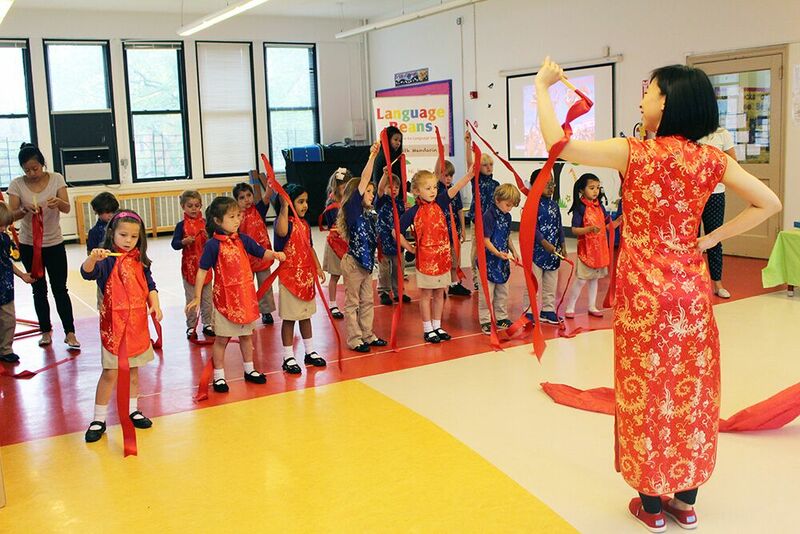 At Language Beans, we not only ask our students to master Chinese, but most importantly, we foster their way of artistic expression by nurturing them to compare crafts, painting, various ways of music playing and creative notation systems. Often, students carry this way of critical thinking developed at Language Beans to different areas of life. We believe children will learn more efficiently and voluntarily when they are in a musical program based on Developmentally Appropriate Practice. The concept of developmentally appropriate practices refers to providing an environment, methodologies, and content (e.g. materials & activities) that match a child’s level of development. At Language Beans, we value DAP and design our classes with sequential steps based on our students’ linguistic development in order to facilitate their success in language learning. Our program is set to promote children's confidence and creativity through musical play and activities. We designed our classes not only to be instructional but most importantly, FUN!!! Everyone at Language Beans walks out of their classes with a huge smile on their faces! !